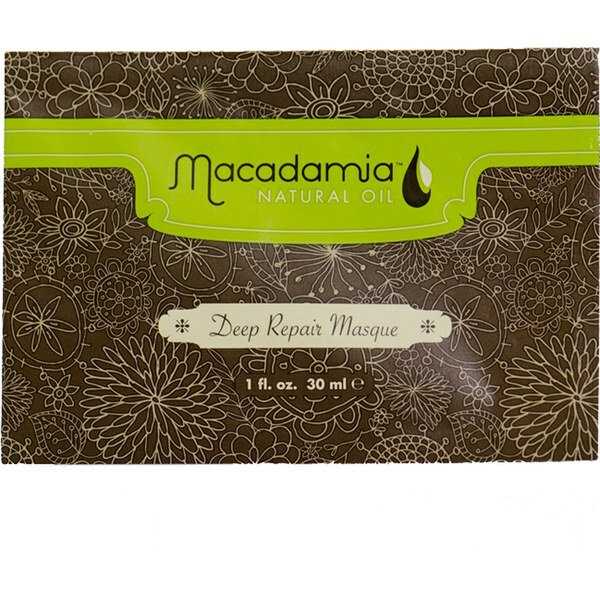 Revitalise dry, damaged hair with the Deep Repair Mask from Macadamia Natural Oil. A nourishing blend of oils, including antioxidant argan, tea tree and chamomile are combined with algae and aloe extracts to deliver intense conditioning and restructuring of the hair. Enriched with macadamia oil, an ingredient with a high amount of omega 7, the weightless mask mimics the scalp's natural oil production to moisturise soft, brittle strands. Improves elasticity and hydrates parched hair, revealing healthy-looking, stronger locks with luminous shine. E.N.